BANDAI NAMCO Entertainment Europe has now officially released their lineup for GAMESCOM 2016 in Cologne, Germany. This year’s GAMESCOM will take place from August 18th to the 21st. First on the list is Dragonball Xenoverse 2; hailed as the most detailed Dragonball game in the franchise. The players will have a chance to meet the series’ famous characters. Furthermore, on-site visitors have a shot at demonstrating their skills through battle and can also explore the new hub city. 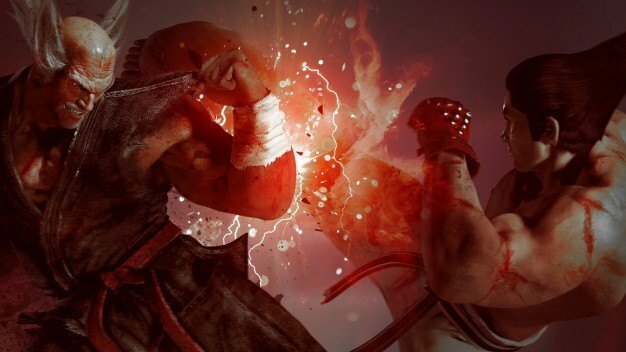 Secondly, TEKKEN 7 will also be shown at GAMESCOM. Fans will see the end of the Mishima feud as well as participate in fights with friends and foes. The game’s release is set for early in 2017. Fans are welcomed to come to the booth and experience the most visually impressive TEKKEN before its release. Finally, a new IP will be unveiled, published by BANDAI NAMCO Entertainment Europe, targeted for a western audience. Unfortunately, that is the most information we have on the new IP. During the event, fans will have the ability to take part in competitions, tournaments, singing sessions and even lotteries. This is on top of the new insights fans will get with exclusive views on games along with interviews and presentations. For more information on Dragon Ball Xenoverse 2, click here. For more information on TEKKEN 7 click here.